Pass on those convenience store ice drinks laden with sugar and artificial colors. 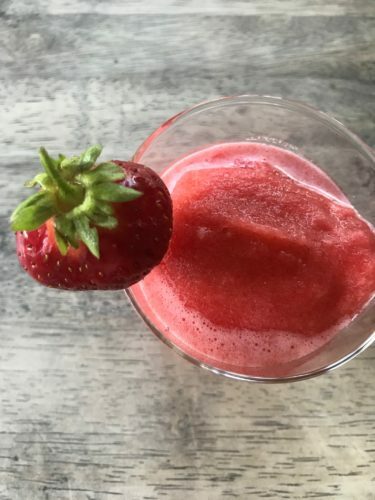 Beat the heat with this seasonal and naturally beautiful sipper. 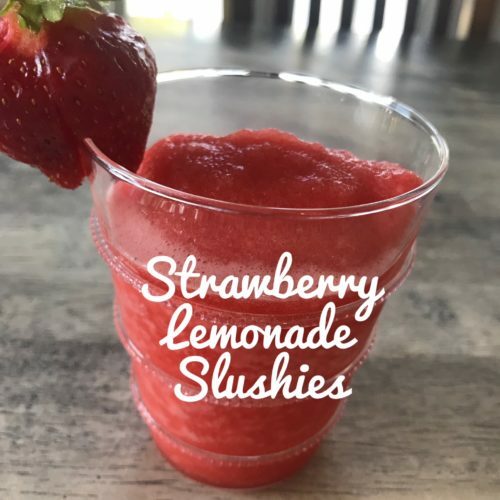 Place lemonade, apple juice and strawberries in a blender. Blend well and pour through a fine mesh strainer to remove the seeds. Pour mixture into a ice cream machine and run for about 15 minutes or until mixture is as frosty as desired. Pour into glasses and serve.